The Travel & Tourism Industry is the largest industry in the world today, with significant economic environmental and socio-cultural impacts. For many rich countries, the industry is an increasingly important development Strategy to positively address economic growth. From new hotels, airport expansion plans, sport events and leisure services, there is undoubtedly an evident increase in the business opportunities made available for the Travel Industry. To mange this growth, the Travel Industry would require sustainable knowledge, expertise and personnel who would understand the changing times and business challenges facing the Travel & Tourism Industry. The Online Certified Travel & Tourism Professional (CTTP) program speaks the language of the Travel Industry. Co-branded Certification of The Travel Institute, USA and TRS Consulting, Dubai. TRS Consulting will issue the Certified Travel & Tourism Professional (CTTP) upon successful completion of an online Quiz and a submission of a White paper on a selected Corporate Travel topic. Log in to access the CTTP program will be provided for course completion in 8weeks. In multinational companies, business travel represents one of the top three controllable expenses in their business operations. In many medium and large sized companies, business travel is considered a pre-requisite that is usually unmanageable and immeasurable. The global travel industry reflects a large volume of travel spend on domestic, regional and international sectors. Senior Managers travel for business as they continue to compete in a global environment for their market share. More so in recent times, due to the economic slow down, companies which were growing exponentially, have cut down on travel and have revisited their Travel policies to gain cost benefits. Savings made through Business Travel impacts the bottom line of the organization. The Certified Business Travel Auditor Program gives you insights to the various components of Travel Management and Travel Purchasing issues and assists you in effectively managing your Travel Expense Management services. TRS Consulting will issue the Certified Business Travel Auditor (CBTA) upon successful completion of an online Quiz and a submission of a White paper on a selected Corporate Travel topic. Log in to access the CBTA program will be provided for course completion in 8 weeks. Are you looking to grow your sales, enhance your value with clients, improve your efficiencies, and make yourself more marketable? 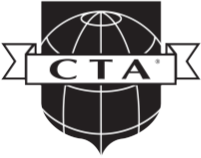 The Travel Institute’s CTA course gives you the tools and knowledge to accomplish all those things and much more. The curriculum was written by subject matter experts and covers 15 critical areas of study designed to teach you how to be the very best travel professional. The learning experience is in-depth, thought-provoking, and delivered in a variety of blended learning formats. The CTA program is a practical, real-life approach to your on-the-job success. Duration of the Certification: The CTA Certification can be completed in 6 months with coaching facilities available at the Institute. Certification: Successful candidates achieving a minimum of 70% will be considered as passing graduates. The Certificate will be issued by The Travel Institute, USA. 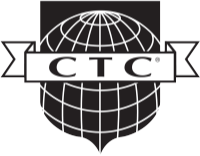 Recognized as the gold standard in the travel industry for more than 50 years, the CTC program has been totally rebuilt with fresh content. The course focuses on management skills that today’s travel professionals need to be successful. The learning toolbox that makes up the Certified Travel Counselor (CTC) program prepares you to face the new demands of today’s travel managers. Each of the online course topics build upon each other – and you will see how the courses create a complete management preparation program. Developing strong co-workers, employees and a cohesive team involves guiding, encouraging and supporting them in their growth. Coaching and Mentoring and Team Building skills in this course will give you the confidence to build a strong company. Creativity will help you find new ways of doing business and getting the most from your staff. Knowing how your employees and co-workers think and “operate” and how to get the best work from these people is the essence of Conflict Management, DISC Behavior Training and Emotional Intelligence training. Using these personnel skills will soon have your company working as a well-oiled machine. Duration of the Certification: The CTC Certification can be completed in 9 months with coaching facilities available at the Institute. Includes Participant study materials ( electronic pdf format ), Testing and Certification for successful candidates. The newly redesigned Certified Travel Industry Executive (CTIE) program is a bold collection of courses and online training focused on the critical skills that today’s travel professionals need to succeed. Graduates will learn how to grow their business while earning recognized industry credentials. The CTIE certification is parallel to the Certified Travel Counselor (CTC) certification, thus, representing the pinnacle of travel industry professionalism for seasoned travel professionals who are interested in advancing their career. NEW: It is no longer a prerequisite to earn the CTA designation or test out of CTA prior to enrolling in CTIE. The final proctored test will consist of 10 essay questions: For each core competency there will be 2 questions – one will be based on the mandatory course and the other allows candidates to apply knowledge gained from the other courses and personal experience. CTIE candidates are required to complete a White Paper on a topic of their own choosing as part of the program. This is an excellent time to write on a topic in which they are interested or in which they have a passion. The CTIE program can be completed between 6-9 months. TRS Consulting will issue the Certified Travel Industry Executive (CTIE) upon successful completion of an online Quiz and a submission of a White paper on a selected Corporate Travel topic. Successful candidates will be issued The CTIE Qualification Certificate by The Travel Institute, USA.